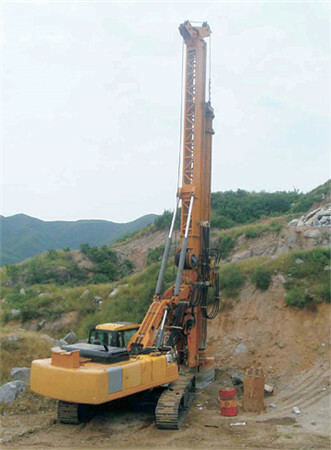 Rotary drilling rigs are designed to excavate holes through boulder, unconsolidated formations or bedrock. 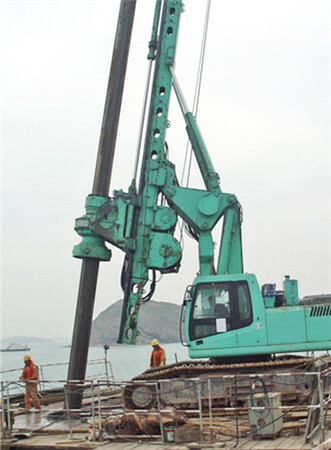 The drilling rigs are usually used for boreholes drilling on pile foundation projects, such as the base construction of railway bridges, road bridges, public works bridges and large buildings. 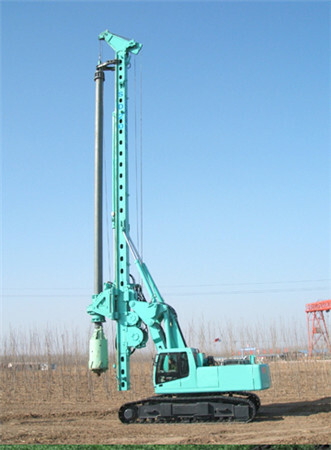 Our rotary drilling rigs are manufactured with industry standard. 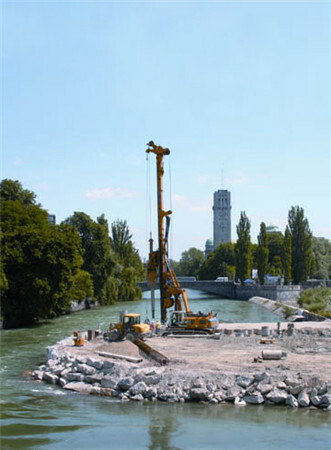 We provide high quality drilling equipment to our esteemed clients. 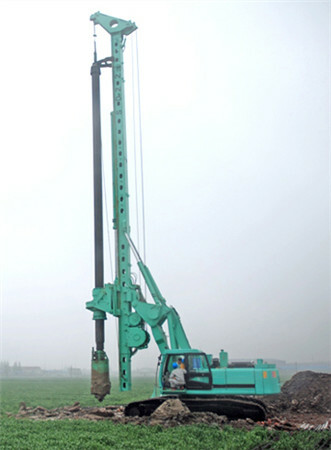 1.Characteristics of this drilling equipment include precision engineering, sturdy construction, high efficient, low energy consumption, excellent performance and longer service life. 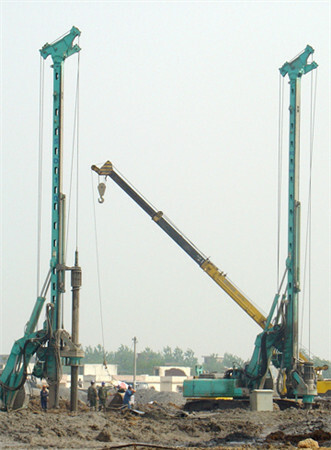 2.Rotary drilling rigs undergo several tests on well-defined parameters to ensure their flawlessness and optimum quality. 3.The compressors of the drilling rigs are double-filtered to remove residual oil. 4.The sampler is driven by a free fall winch, saving time with the drill rod method. 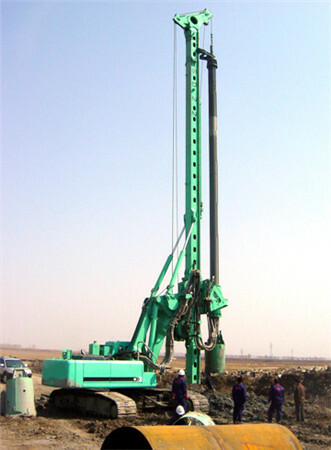 The sampler may be mounted on drill rods if necessary. 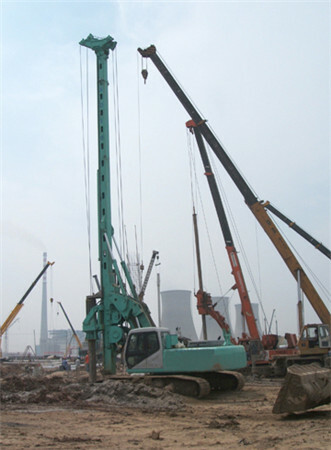 5.Rotary drilling rigs have the capacity to dig a deeper hole in unconsolidated formations with the drilling equipment and drive method. 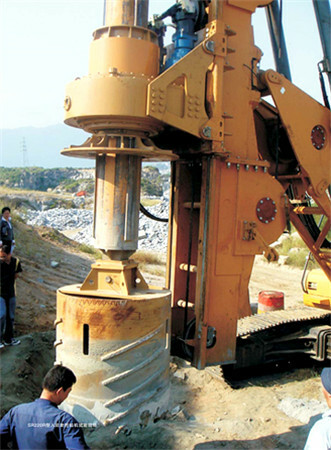 6.Rotary bits are cooled during cutting by injecting high-flow air, which also evacuate rock cuttings from the borehole and stabilize the borehole while drilling. 7.The high flow can constantly clean the bottom of the boreholes, which allow for consistent contact between drill bit and bedrock. Single start and Double start design.